Home is where your story begins. Mobility takes you further on your very journey. At Scout24 we value the diversity of our employees as much as our users’ individual life scripts. Our house is open for everyone and free of stereotyped thinking. The power of our team grows with the variety of individual perspectives. Our culture embraces a workplace that fits in with your personal way of life. Together, we build leading digital marketplaces in Europe. Today is the fourth German Diversity Day. The “Charta der Vielfalt” (diversity charter) is a corporate initiative to promote diversity in companies and institutions. This initiative aims to promote the recognition, appreciation and integration of diversity into Germany’s business culture. 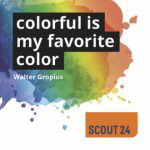 I wanted to take this chance to introduce you to our Diversity in Tech Community at ImmobilienScout24. We are people from the tech department that operate in different roles and positions, who are aware of the lack we have inside our department regarding diversity and who want to change it. The first paragraph of this article is our diversity policy. We created this as a commitment to what we actually want to accomplish. The Diversity in Tech Community was founded during one of our Hackdays in 2015 at ImmobilienScout. Since then we meet on a weekly basis and discuss diversity related topics, develop ideas and plan initiatives. At our first meetings we tried to figure out, where to start. We had a lot of discussions and soon noticed that diversity is a huge topic. We all had different perspectives and everyone was driven by another challenge. For example, as I am a female software engineer at the beginning of her career, topics such as women in engineering and also promotion of young talents by hiring juniors are important topics to me. Others wanted to focus on female leadership, the compatibility of family and career or nationalities. Therefore we decided to primarily gather some data to get more insights to where we actually stand and to see which is our biggest challenge. For that we not only asked our HR department to get some numbers, but also created a survey for our colleagues. In this survey we gathered more data and also tried to get more insights into what everyone thinks is the biggest challenge we are facing at the moment. You can have a look at our survey here. After evaluating all the data we found out that many people think, that people of underrepresented groups in tech are basically not applying to our company. So actually the very first point of contact is already a huge challenge. With this in mind we had a look at our job ads and also at those of other big tech companies to compare them to ours. We found out that many companies had some kind of diversity policy, to explicitly inform the potential candidate about why they think diversity is important and they value a diverse workforce. That’s when we decided to create our own diversity policy. Also we facilitated a workshop with the Team-Leads, who are responsible for writing the job ads for their teams, about wording and how to handle unconscious biases during the recruiting process. This Workshop had the funny name „Bockwurst ist kein Lebensstil“ („Sausage is not a Lifestyle“). One source of information for this workshop was Joan C. Williams introduction to „What Works for Women at Work“ and the four patterns of gender bias. 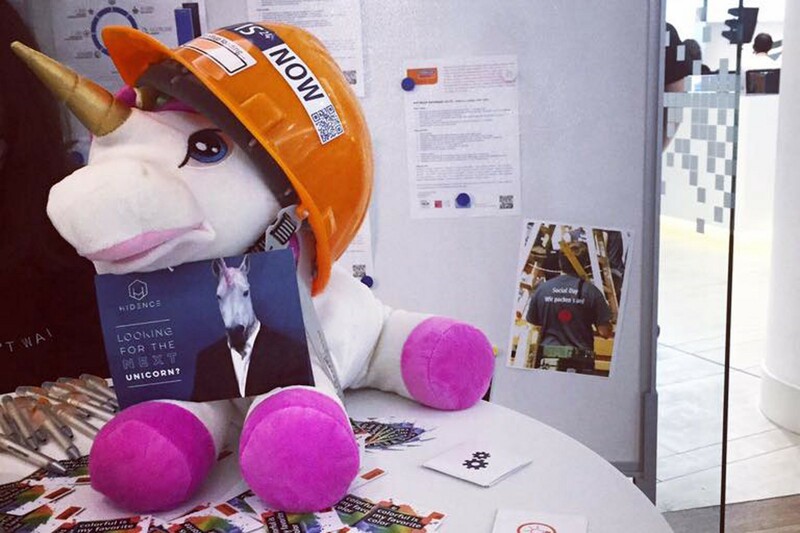 Furthermore we took the chance at this years’ Sticks&Stones career fair to be more present and visible as a company in the LGBTI community. For that we created stickers, that carry the headline of our diversity policy. And we also participated in this years’ Girls’ Day. You can read the blog post about this day here. In the last year we all gathered information and we did many things, but they were not necessarily aiming to a concrete goal. Therefore we are planning to focus on one of those many topics for at least 12 month and also have a goal to reach that can be measured, for example „We want to hire 4 female engineers “. We also want to get in touch with other companies and their initiatives to have a discussion and learn from each other. If you want to get in touch with us feel free to contact us at IS24-IT-Diversity-ds@scout24.com, we would love to get in touch with you. Christin Westermann joined ImmobilienScout24 in the beginning of 2015 working as a software engineer. 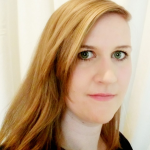 In March 2015 she became a member of the Diversity in Tech Community at ImmobilienScout24. This community is dedicated to diversify the IT at Scout24 by creating awareness for the topic or carrying out workshops on recruiting and other related topics.